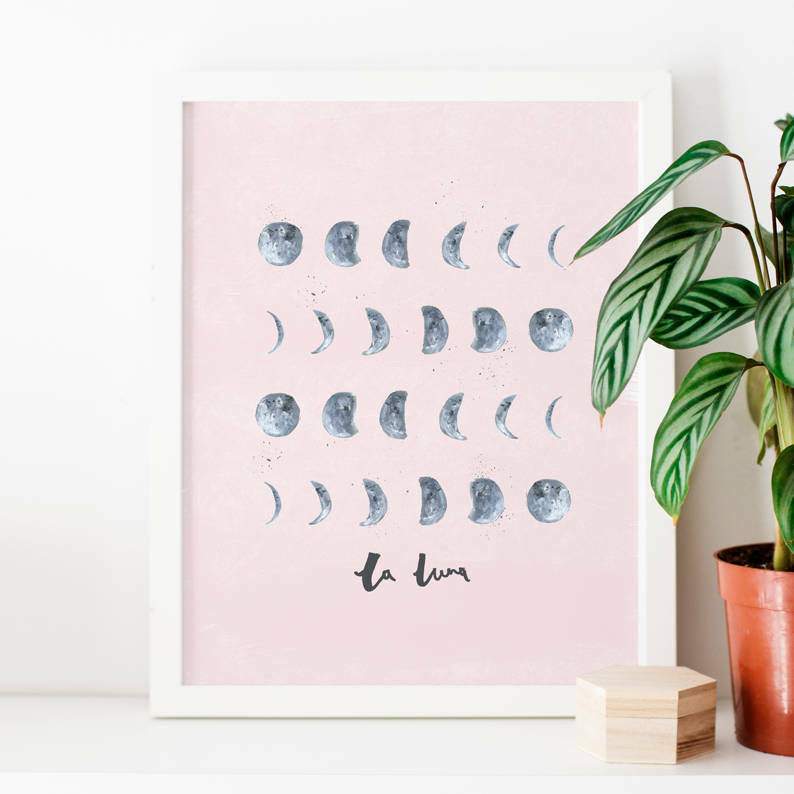 A dreamy art print originally hand painted with love. 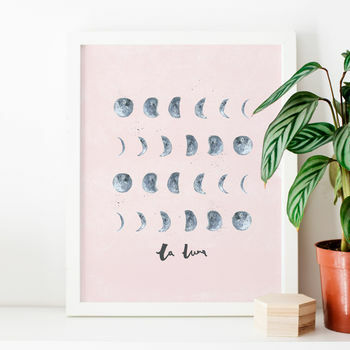 This moon print, reading, 'la luna' is a flat digital print, originally created using a watercolour and ink. A perfect addition to any corner of the home or would look sweet in a nursery or children's bedroom. 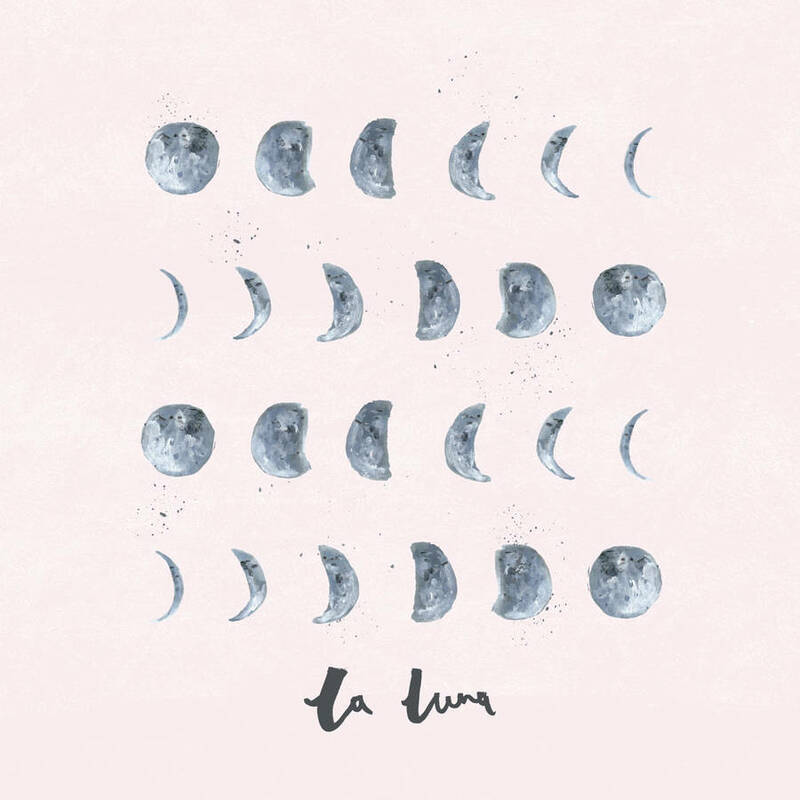 The print comes unframed and is printed on premium quality 200gsm paper. Each one is packaged with the greatest of care and shipped rolled in brown paper and slotted inside a sturdy mailing tube for ultimate protection. This print is available in a variety of sizes to suit standard frames. Please choose your rquired size before checking out. Printed on premium quality 200gsm paper. This product is dispatched to you by The Lovely Drawer.